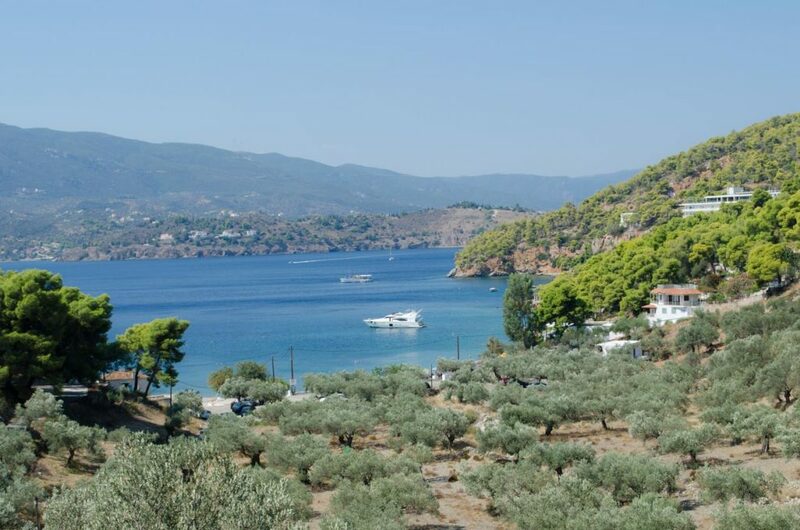 This gorgeously green, sleepy Saronic Island offers the classic Greek island experience- historic sights, romantic beaches, and delicious seaside taverna meals. The island has attracted some interesting visitors. Patrick Leigh Fermor, the philhellene author British war hero who would later distinguish himself during WWII by kidnapping a German general, lived for a summer in an old watermill in Poros with his lover the princess Balasha Cantacuzene, a Romanian noblewoman, when he was 20 or 21. 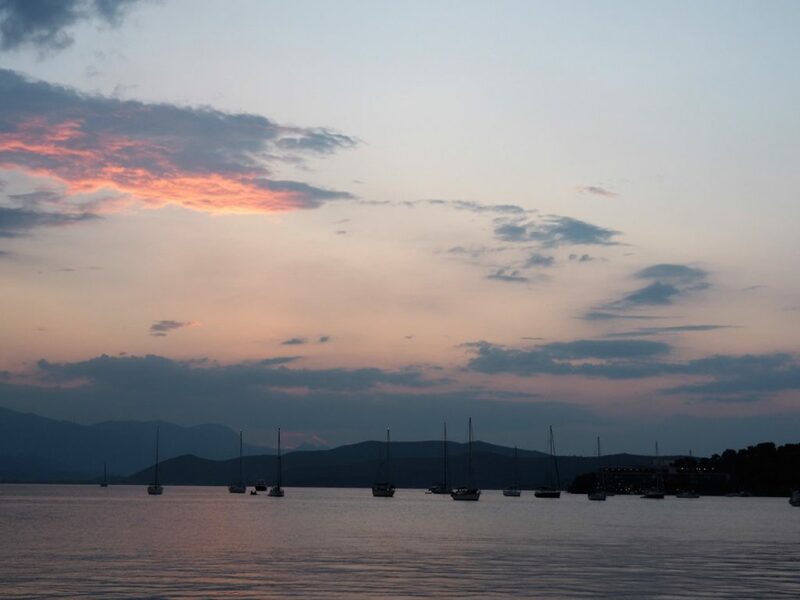 Henry Miller, using some surreal poetic license, describes the arrival in the port of Poros as being like no other in The Colossus of Maroussi. 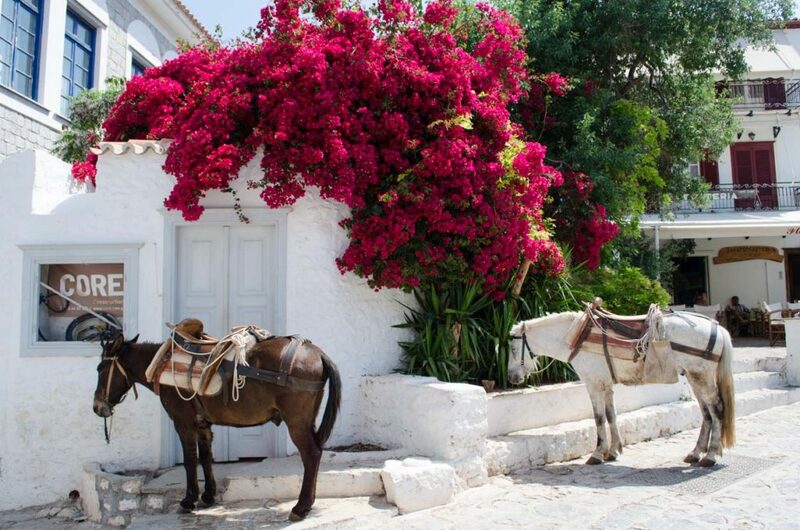 In fact, it is the quintessential port arrival, with a charming village to greet you. Enjoy the picturesque old town by climbing the hill to the clock tower of 1927. More sights farther afield are worth your time. 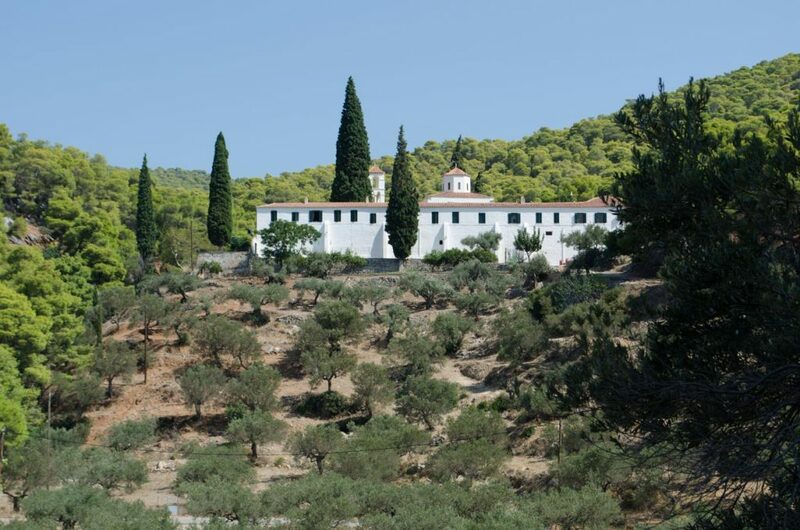 An 18th C Monastery Zoodochos Pigi is built on a pine covered slope, 4 km from town. On the island’s north side, visit the ruins of a Doric temple to Poseidon from 520 BC. Findings can be seen in Poros’ Archaeological Museum, in Korizis Square in the main town. You can learn how to water ski at Askeli beach, just 3 km from the port. It’s also a nice place to go for a dinner or a drink. At the romantic beach aptly named Love Bay, you can swim near the shade of pine trees. Russian Bay, just 1 km away, has ruins of an old Russian Naval station right on the beach, making for an atmospheric swim. The refined charms of petite, low-key Hydra are many. The harbor is enchanting; but it is missing something- something you will end up not missing at all: the island has no cars to distract from the traditional beauty of the island, no noise to drown out the sounds of seagulls and conversation. Taking the place of the cars are donkeys, and a few strong guys with wheelbarrows. The island, not surprisingly, is perfect for walking. 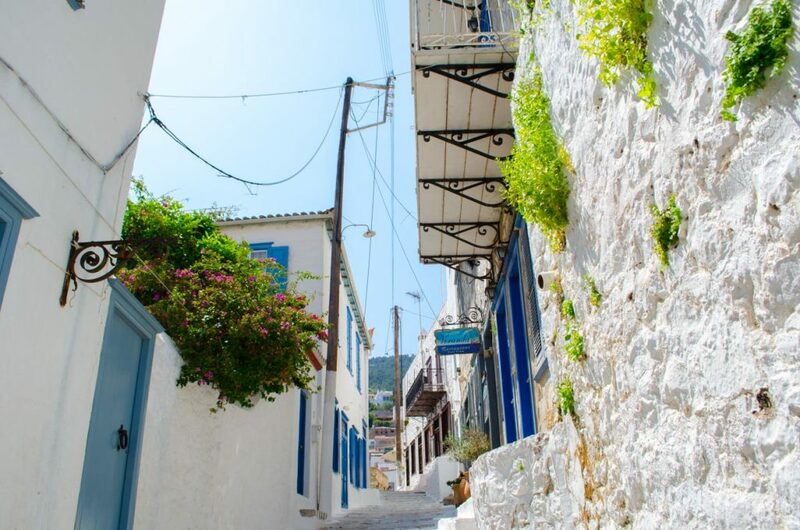 Wander through the town’s charming alleys, climbing past ship owner’s mansions and churches, until you find the perfect view (that’s a challenge: there are many). Of course, there is a third method of transportation. In addition to the donkeys and strolling, there are water taxis– splashing through the azure sea is definitely the most fun way to get from place to place. But you’ll want to explore further. This lush green island abounds in hiking trails to various scenic spots on throughout the island. 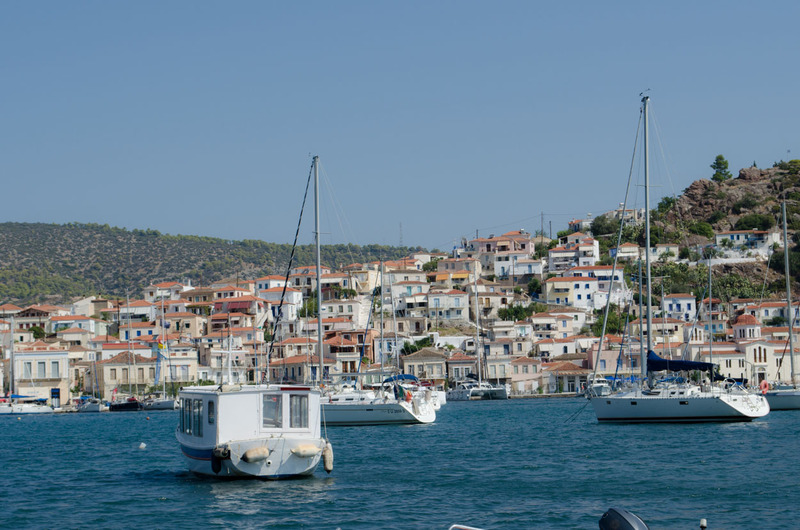 For a quick orientation hike, try going from the port to Vlychos, via charming Kamini, and then returning inland through the trees (of course, try timing it to stop in Kamini for lunch- this tiny, sleepy port has a couple of fabulous tavernas). If you’re feeling more adventuresome, there are well-marked paths running between the Monasteries, Convents, beaches, and caves all over the island, for hikes lasting from half an hour to a couple of hours, each way. 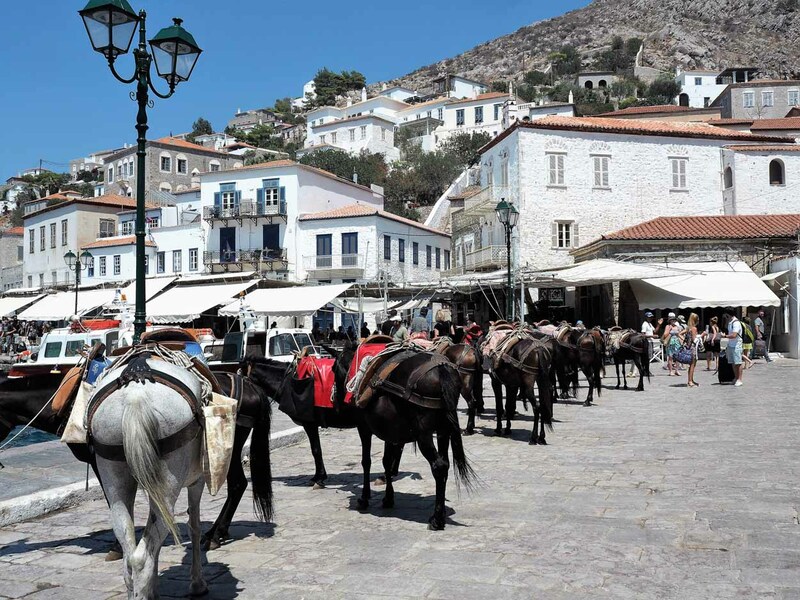 The quiet elegance of Hydra has been attracting a cultured, elite crowd for decades. The island abounds in interesting accommodations, where luxury sacrifices nothing to character. Old mansions (the island’s seafaring history brought much wealth) have been converted into boutique hotels, many with period details like hand-painted ceilings, and antique furniture. A cultured crowd means cultured options for dining, cafes, and bars. Lining the harbor are charming tavernas drawing international visitors and celebrities (one, for instance, has walls decorated with plates signed by regulars and interesting visitors- like Vivienne Westwood). Explore the alleys of the town and you’ll come upon plenty of elegant, candle-lit restaurants in courtyards under the stars. 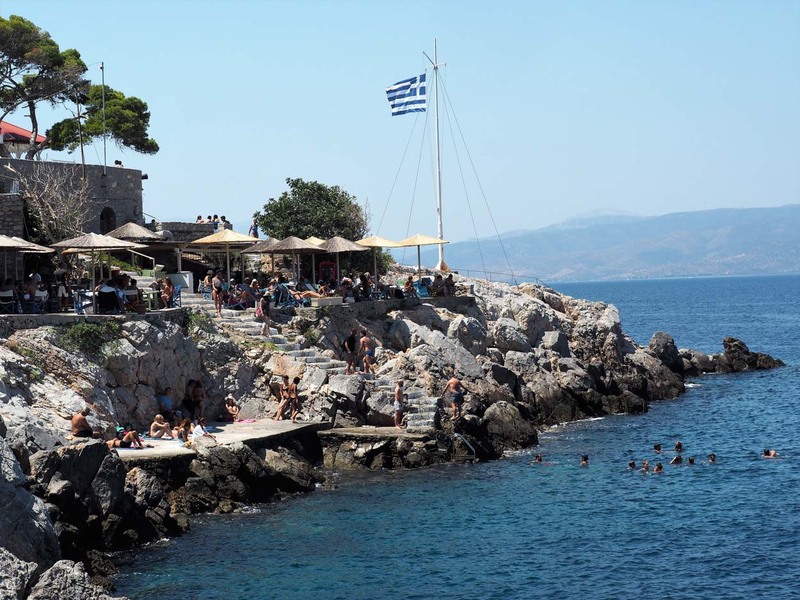 For coffee and drinks, there are many elegant spots including some famous standbys- Amalour- known for its excellent playlist, and the Pirate Bar, part of Hydra’s international scene since the 1970s. 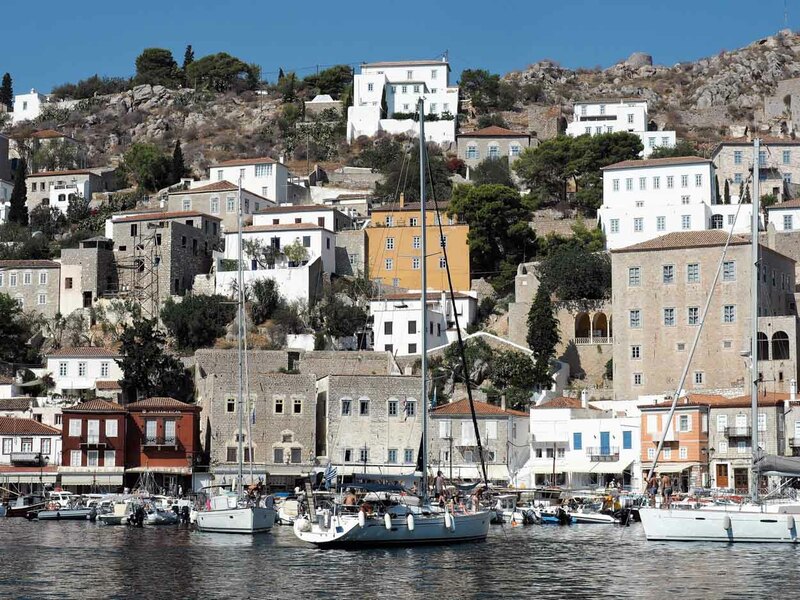 This affluent island has, like Hydra, a long naval tradition. The old captains’ houses are well-preserved and attest to the island’s elite history. 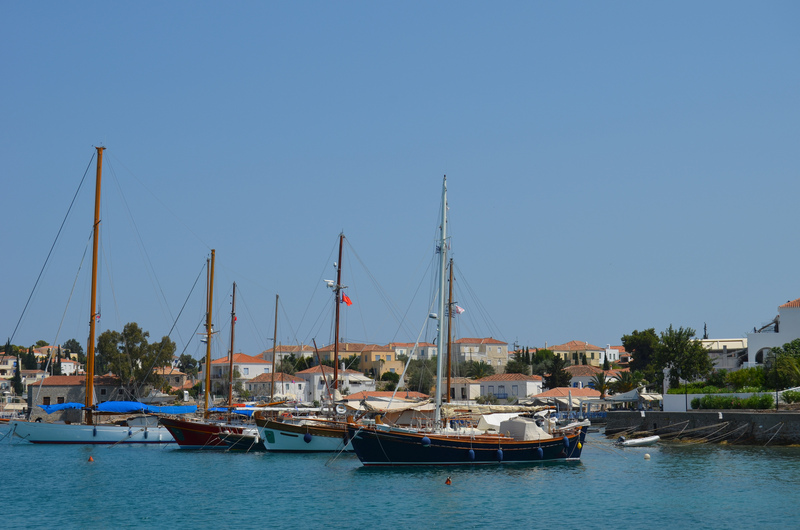 Spetses also played an important role in Greece’s War of Independence. 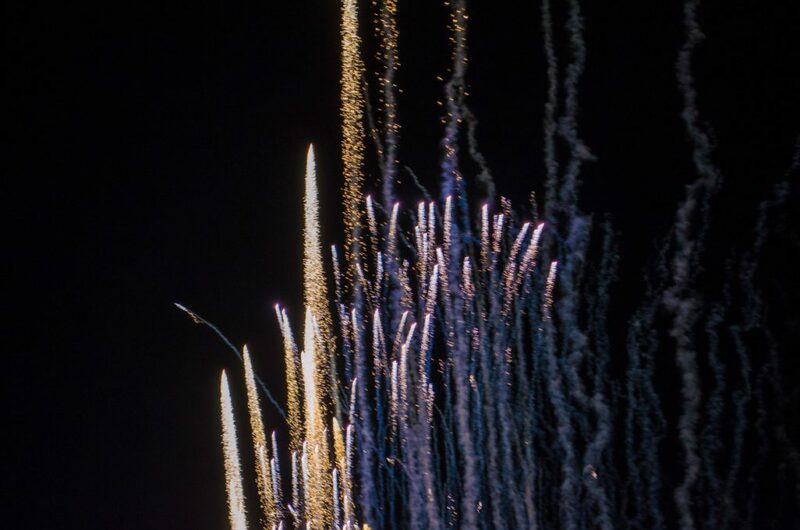 The annual celebration Armata– held each September- sees the dramatic re-enactment of a successful battle against the Ottoman Navy. 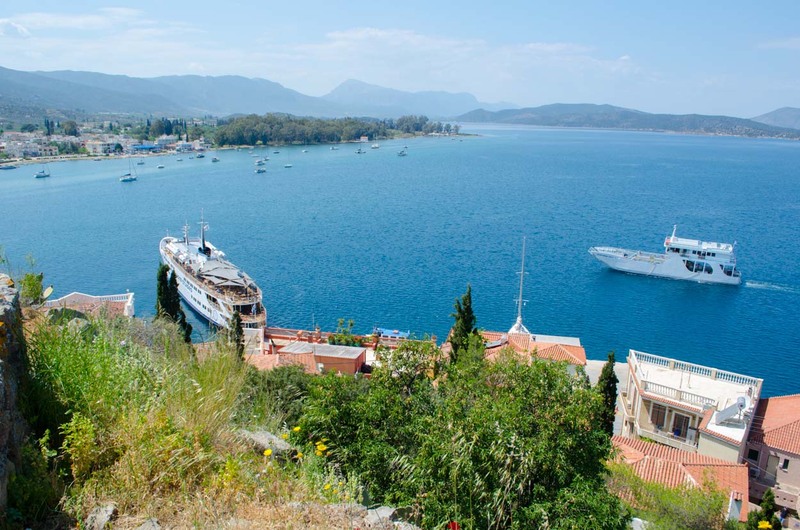 This is also the island of the beloved heroine Laskarina Bouboulina– the first female Greek Naval Commander who also gave much of her fortune to the cause of independence. Although from neighboring Hydra, she lived much of her life here and died here. 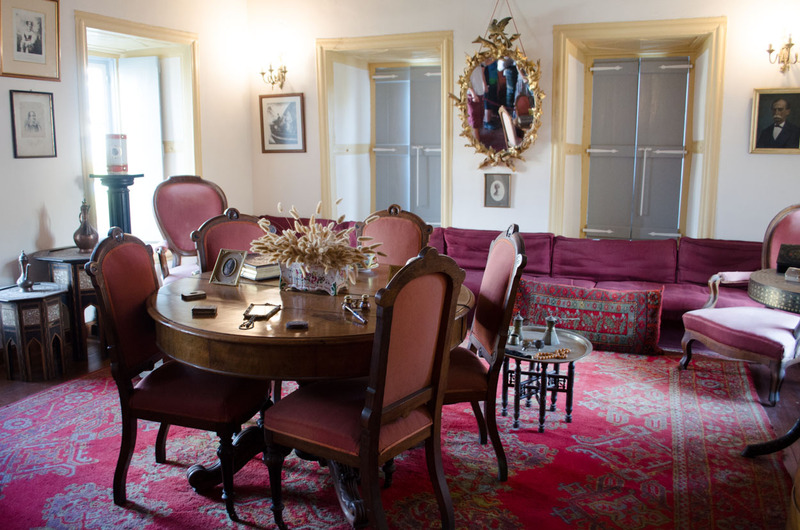 She is commemorated with a museum in her mansion and a monument. 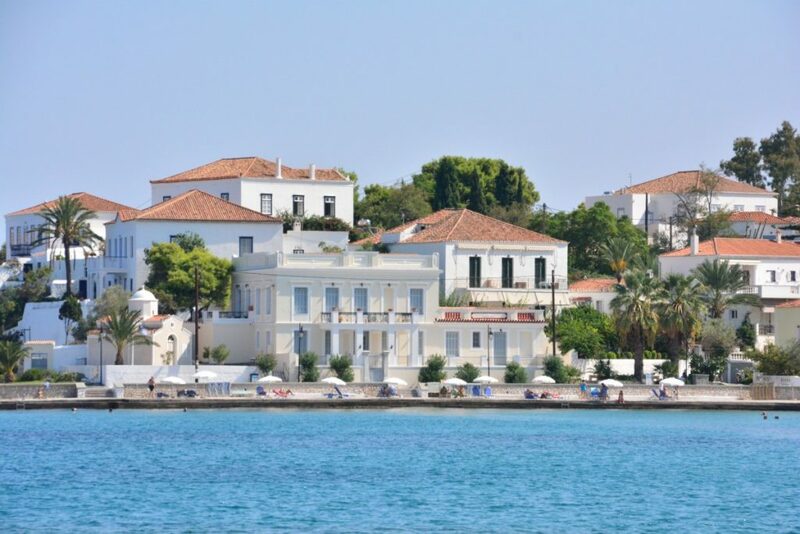 Spetses is home to one of Greece’s most famous hotels, the Poseidonion Grand. So follow the example of Marilyn Monroe, Ingrid Bergman, and Elizabeth Taylor for a taste of island glamour. The island’s restaurants will not let you down in that department either- there are plenty of high-end gastronomy experiences in luxe settings. If you’ve packed too caually, it won’t be a problem: there are boutiques to outfit you for the sea or the deck of a yacht, and also for the island’s finest tables. Amid the elegant restaurants there are also plenty of classic tavernas and ouzeries. Another old-fashioned charm- like Hydra, you will find not private automobiles here. 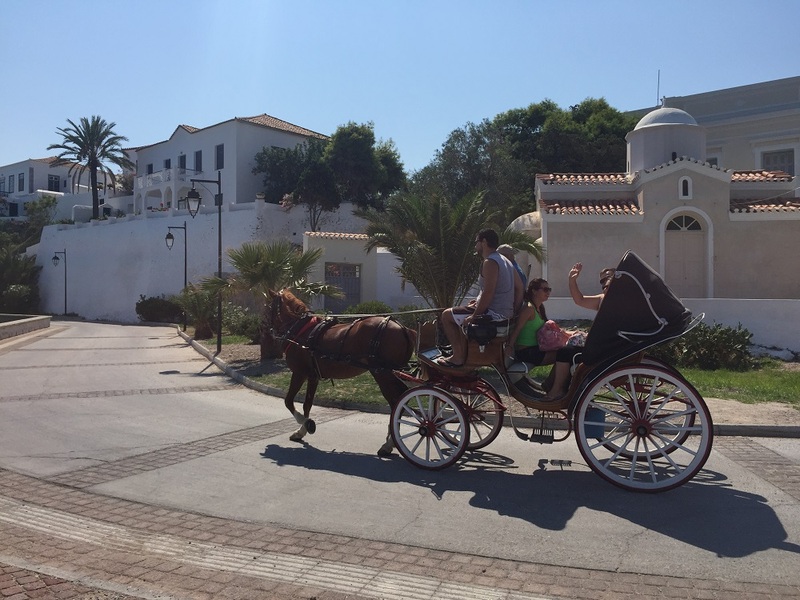 It is not as strict- there are taxis and some motorbikes, but caiques and horse-drawn carriages are the prime modes of transportation. 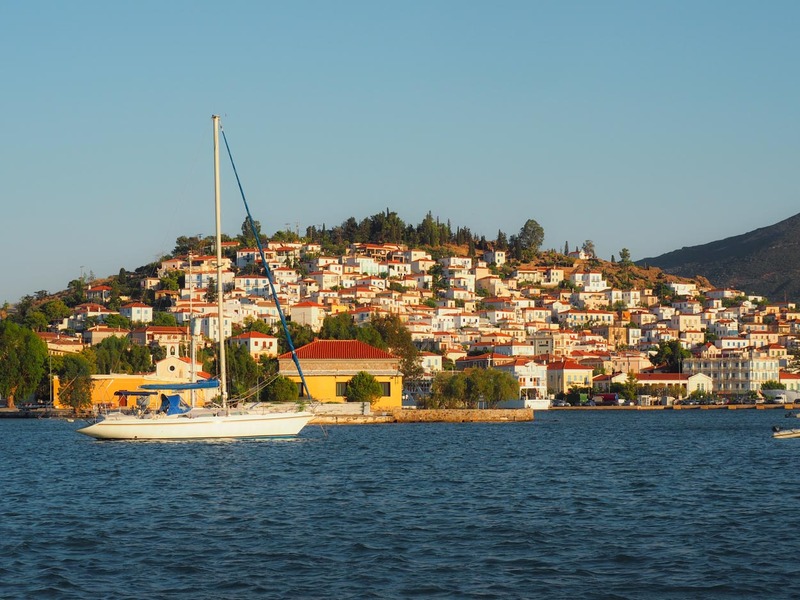 Of course, there is no charm more classic than a good island beach, and Spetses has many: lined with pine trees, Zogeria is thought by the locals to be the most beautiful. For seclusion, Xylokeriza is most easily reached by boat. From Vrellas– also called “Paradise”- there is a path that leads to the island’s highest point at Prophitis Elias- a beautiful walk. For still more action, visit Agia Marina, Agia Pareskevi, and Agioi Anargyroi, all of whom have watersports facilities. Exploring the island is a pleasure- it also abounds in hidden coves, and at Agioi Anargyroi, you’ll find a water cave. Have you done any island hopping? What were your impressions? Did you find that each Island truly has its own distinctive character?